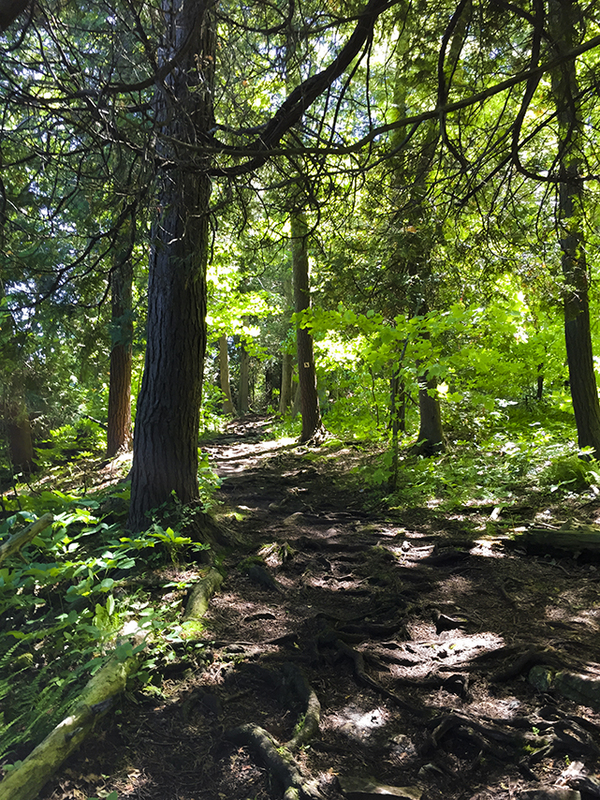 A Door County vacation is not complete without a scenic nature hike. 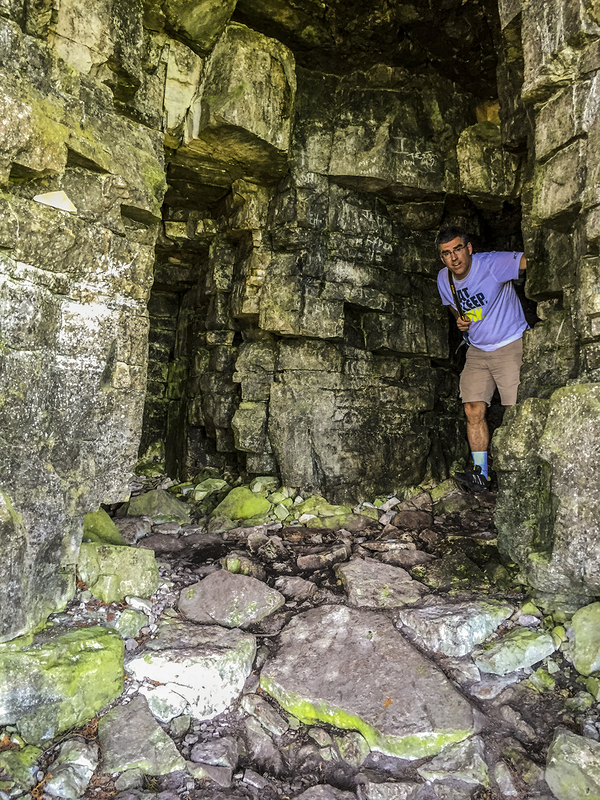 Among hundreds of hiking trails, including the Ice Age National Trail and nature walks at 5 state parks and dozens of state natural areas, The Eagle Trail is king. 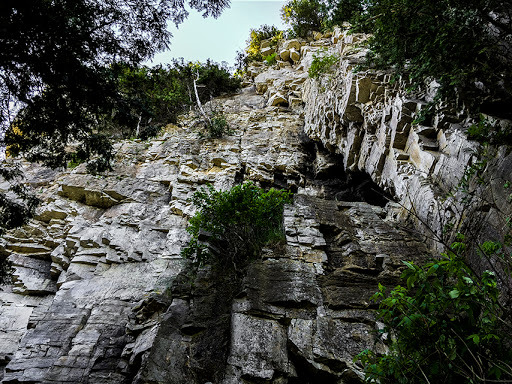 The Eagle plunges 200ft from it's trailhead at Eagle Bluff and then traces a rocky great lake shoreline that is in the shadow of the imposing Niagara Escarpment. Along the way you'll have a chance to explore caves, skip stones on Green Bay, meander beneath white cedar forests, and climb a massive lookout tower. This 2.5 mile hike is moderately strenuous due to it's uneven surface which is woven with tree roots and loose rock. Being the most popular trail in Door County, it is heavily traveled and in peak season too congested for trail running. Vacations in Door County are always unforgettable. On this latest trip My family and I were treated to a brilliant showing of the Northern Lights. Shortly after setting up camp in Peninsula State Park the shimmering green sky caught our attention. We set off for Nicolet Bay - a beach at the park - and there we observed the sky above us pulsating in rapid bursts of iridescent green and blue. Above the open black water on the horizon the aurora borealis shimmered in slowly undulating streaks. Beyond these curtains of light stars and planets held their corners of the same constellations that have made up the summer sky for the entire history of life on planet Earth. It was an omen of good things to come. The following morning the first of those good things came in the form of a hike on the Eagle Trail. 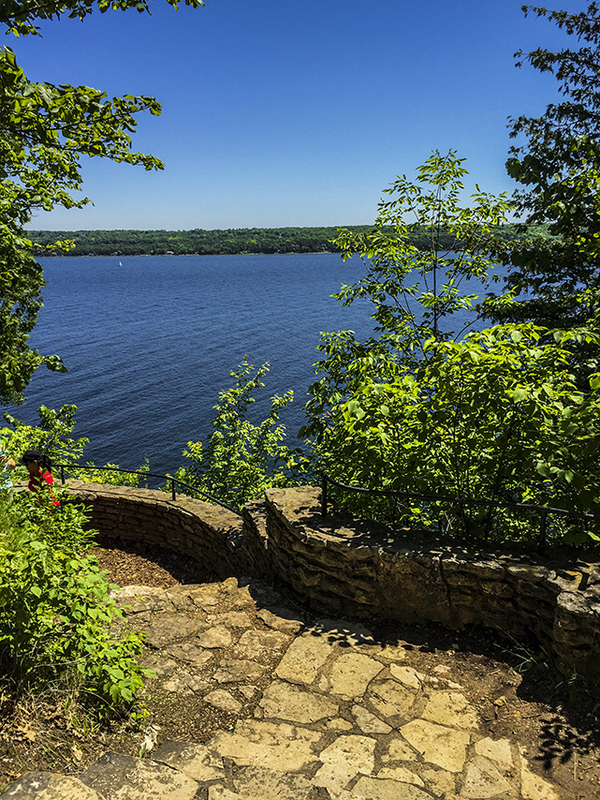 Never a disappointment, the Eagle Trail is the most storied trail in Wisconsin. Though, not necessarily the best. My favorite hike in Wisconsin remains the East Bluff at Devil's Lake. 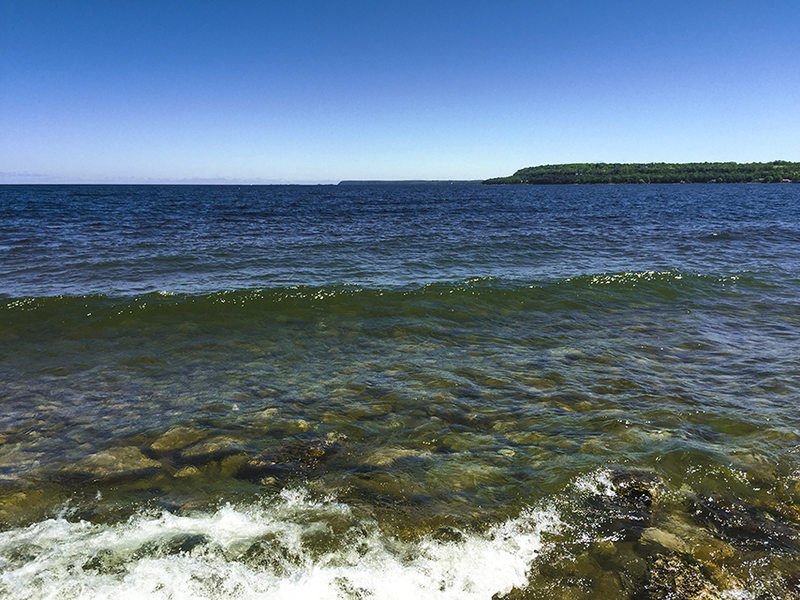 Vacationers stream into Door County all summer long. They come from Milwaukee, Chicago, and Minneapolis, and even from cities on continents across the globe. They call this thumb of Wisconsin the Cape Cod of the Midwest. But, that's not quite right. Door County is named after Death's Door - a perilous sailing route that crosses the Door peninsula from Lake Michigan to Green Bay. Today it remains speckled with charming fishing villages. But, Cape Cod is simply a beach destination. While beaching in Door County is popular, there are many more activities on sea and land that make Door County a more well rounded destination. 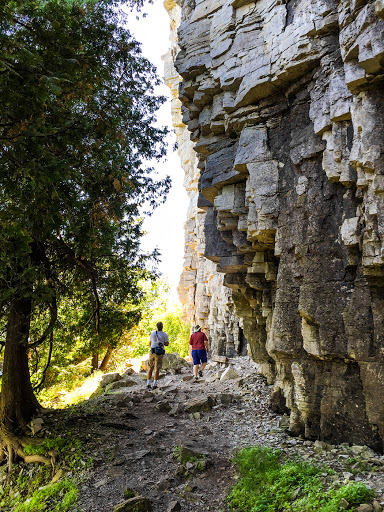 Among the must-do's on any Door County getaway is a hike. And, the Eagle Trail provides just the right length, challenge, and scenery to make it the trail to do. The trail begins atop limestone bluffs that make up the distinctive Niagara Escarpment. This linear protrusion of Earth's crust is the same escarpment which Niagara Falls tumbles over. Just as the Great Lakes spill over Niagara Falls, so too does water spill off the bluffs at Peninsula State Park. Rather than streams constricted to a channel which would create a photogenic waterfall, water drains off the bluff across the total area of the escarpment. On its way down it has carved out caves and overhangs from the soft limestone. Hikers follow a similar course. 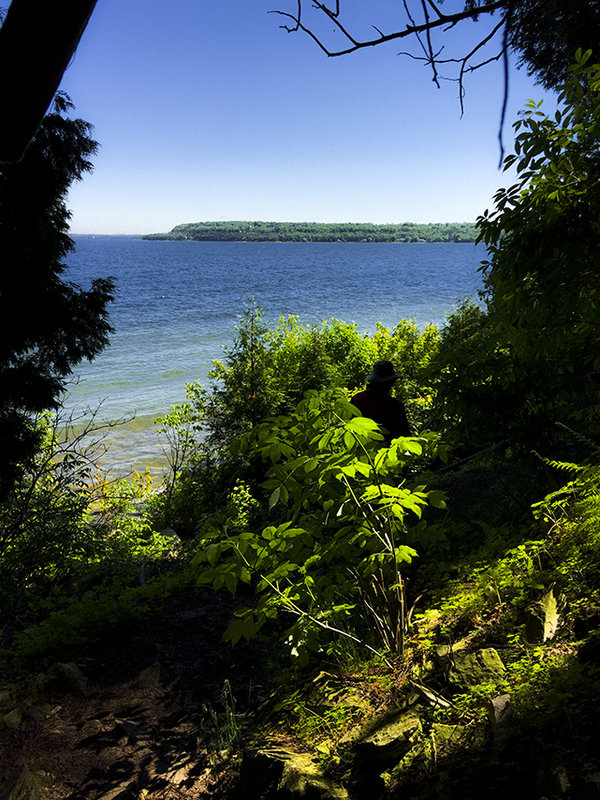 The Eagle trail abruptly descends the escarpment to the rocky shores of Green Bay. The canopy overhead is hardwood on the descent, but at the waters' edge it closes in and darkens beneath an ancient white cedar forest. Waves crash ashore, and you are invited down to the water at many offshoots from the mainline. You'll find literal tons of flat smooth rocks that are perfectly skippable. This is the shoreline where I skipped my first stone as a child. 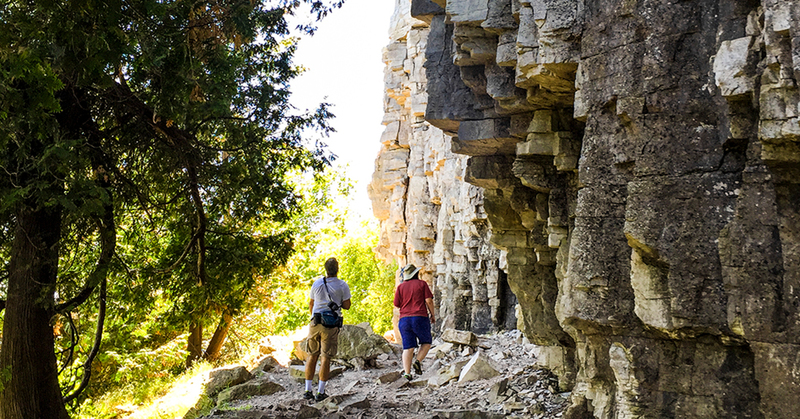 The trail continues along as the imperious escarpment squeezes hikers closer and closer to the shoreline. A set of switchbacks climb back up the bluff. A scenic overlook offers a chance to rest after the bluff climb. A few steps up from the overlook you'll cross a parking lot. 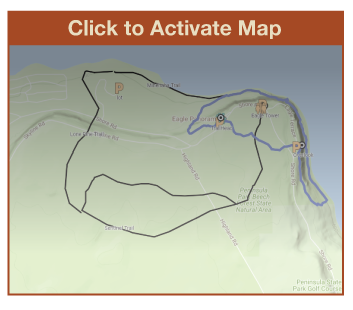 In the Beach Forest State Natural Area you will intersect with the Sentinel Trail. Take the Sentinel Trail to Eagle Tower to climb 75 feet for 360 panoramic views. Backtrack to the trail intersection and continue on to complete the Eagle Trail. This storied trail is the subject of countless travel articles. There's a reason. It's one of the most colorful threads of the tapestry that is a vacation to Door County. If the weather is right, the memory of this hike will glow within you long after summer has faded. VISIT FISH CREEK // Anthem from Boreal Sky on Vimeo. A directory of popular sights and hiking trails in Door County.